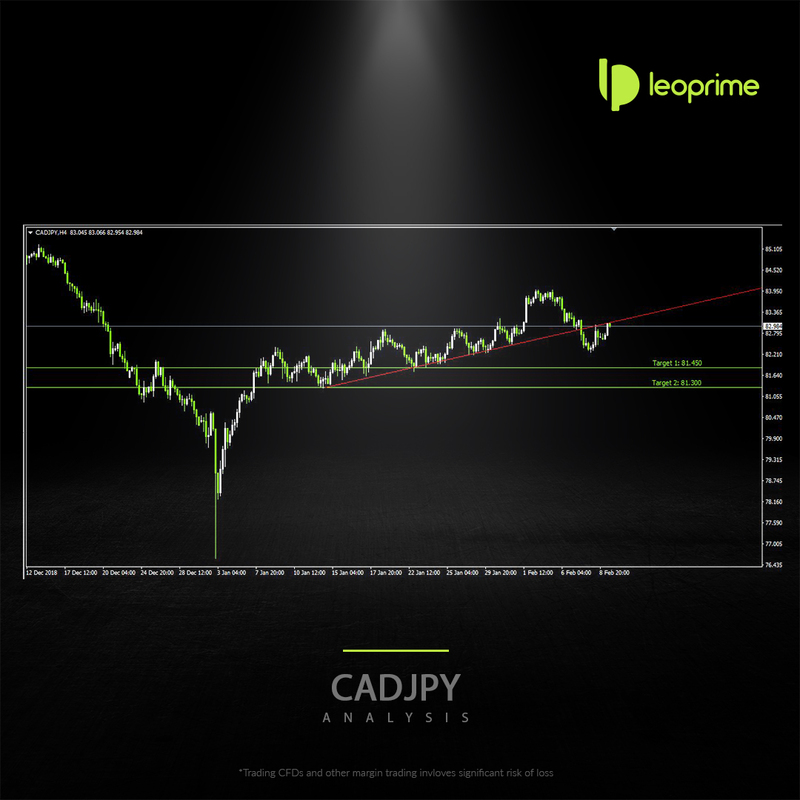 Breaking the long term trendline last week thursday, CADJPY managed to turn over at 82.400 support to retest the trendline at 83.300 in 0.50-0.618 Fibonacci level. Bears are expecting to take control over the market with minimum risk management as bears have more possibility to move further downside after it crosses 82.620. On the other side, Bull can try to move further north-side after the breakthrough of January end high.